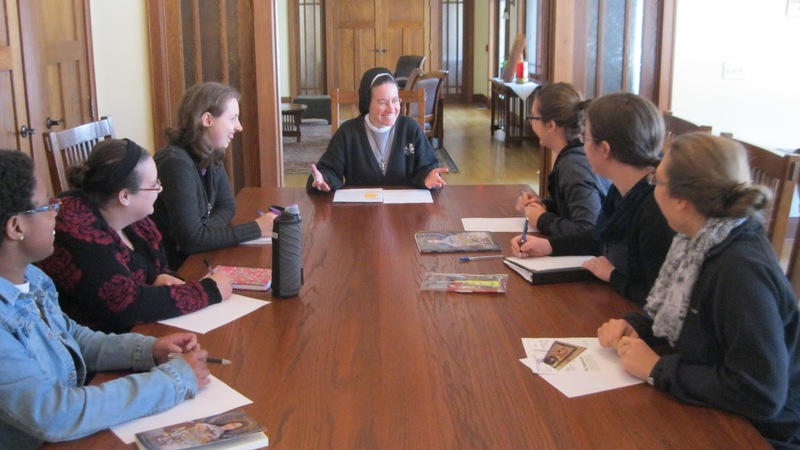 The Mater Redemptoris Aspirancy Program is a live-in formation program for young women discerning religious life. It provides them the time and structure to grow in prayer, human virtues and community life. The program is not directed to entrance in any particular religious congregation, but gives women a general preparation for more specific formation in the community to which they are called. The Aspirancy program addresses the areas of human formation, foundations for community living and fundamentals of the spiritual and doctrinal life. We give women the skills necessary to enter into the intense formal program of religious formation in the community of their choice. These skills range from social and communications skills, to living, working and assisting others in community. Women learn the basics of Catholic doctrine and prayer, receive spiritual direction and learn to know themselves profoundly. An Aspirant at the House of Formation follows a very structured schedule of prayer and work. Most of her order of the day is shared with Sisters of the local community. On Fridays the Aspirants do no go to their volunteer service site but have formation classes and more time for prayer. Saturdays are devoted to household duties and time for personal errands. Sundays are a day of rest for the community with time to call family. Once a month the Aspirants have a recollection day (usually on a Friday) which is a day completely for silence and prayer. Confession is offered every other week. Aspirants also are expected to meet with a spiritual director once a month. The program usually runs from early September to mid-May, a traditional academic year. 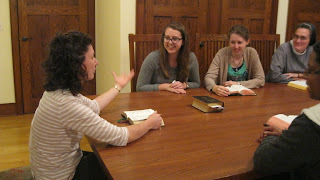 A woman who believes that God is calling her to religious life and desires to take time to seriously discern her vocation. She may have a specific community in mind or she may still be searching for where God is calling her. She must be willing to enter fully into the formation process and cooperate wholeheartedly. The year will give her the opportunity to advance in her spiritual life, community living and general human formation. The program is suitable for new converts and recent high school graduates. Women with college loans, women who have been severely traumatized and have not received effective counseling and women who are unsure of their call are not suitable for the live-in program. For these women, we recommend regular spiritual mentoring or discernment retreats while they address the other concerns elsewhere. - Good physical, mental and emotional health. There is no room and board fee for the program. However Aspirants are required to fundraise to help offset the costs of formation. Fundraising training and details are provided during the pre-aspirancy visit. 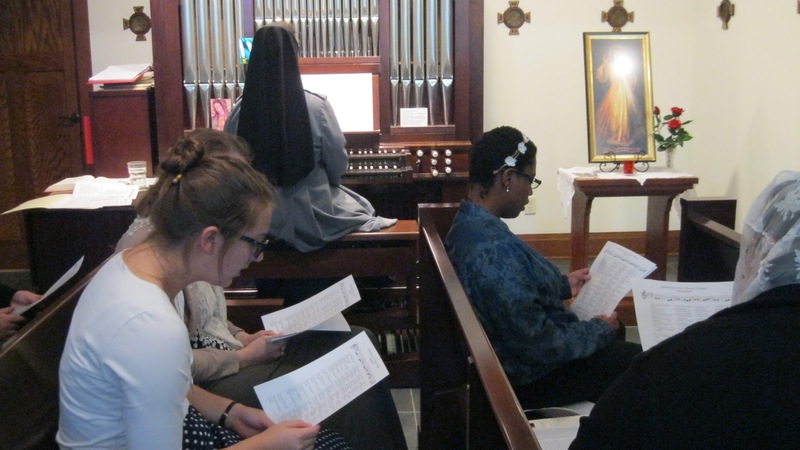 To apply for the program women are required to fill out an application form and attend a full two-day retreat at the House of Formation to be considered for acceptance to the program.